For many years now, articles, surveys, and news reports have lamented the steady flow of young people leaving the church in North America at an alarming rate. According to the Pew Research Center has observed that about a third of older millennials (adults currently in their late 20s and early 30s) now say they have no religion, up nine percentage points among this age range since 2007. Nearly a quarter of Generation X now say they have no particular religion or describe themselves as atheists or agnostics. Yet while a growing number of young adults are leaving the church, there are other trends as well. Some younger Christians are choosing to remain in the fold of Christianity, but that doesn’t mean they are content with the existing expressions of evangelical faith. Many young believers, from different backgrounds and traditions, are staying in the church while embracing a liturgical expression of the faith. And while it is most noticeable among young adults, this trend is true of people of various ages and backgrounds as well, believers who are seeking to recover ancient practices of the Christian faith. 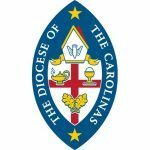 For the past two years, I have traveled across the United States, Canada, and England visiting churches, cathedrals, universities, and seminaries. I have listened to dozens of young adults share how they have embraced Christian liturgy. I have heard stories about how liturgy is impacting many lives, and I have interviewed hundreds of young adults and leaders to hear their stories about how liturgy has impacted their faith. At this point you may be thinking, This is all good, but what are the reasons that have led to this searching? By interviewing young adults from across the United States, all of them from radically different Christian traditions, I’ve uncovered eight major reasons why a new generation is following the allure of liturgy. I won’t claim that this list is exhaustive, but it does offer a succinct snapshot of the world of spirituality in North America. The first yearning of young adults I’ve interviewed is for a holistic, or embodied, spirituality. In this age of technology and media, many young Christians have come to feel that the contemporary church (and even society as a whole) doesn’t engage their faith in a holistic way. I’ve found that many young adults are seeking a holistic spirituality that embraces all aspects of their person—mind, body, and soul. Young adults want a faith that not only engages the mind but involves the senses of touch, taste, and smell. The historic church has asserted that we are cleansed with the water of baptism, fed with the bread and wine of Communion, and healed by the laying on of hands using anointing oil. We are taught by the read-aloud Word, as well as with the colors of the sanctuary that correspond with the seasons of the Christian year. All these elements function together in the liturgical practices of the church and engage us holistically. Many young adults say these practices allow them to engage their whole person with the whole gospel. Young adults are also drawn to historic practices because they long for a sense of mystery. The pragmatic consumerism that has infected the church leads us to value the elements of our faith and practice that are most “relevant” to us today. For example, many contemporary churches play worship music that echoes secular pop songs, and we’ve designed our church buildings to look like Walmarts or movie theaters, neglecting theologically informed architectural designs that were once popular in church buildings and sanctuaries. Young adults sense intuitively that today’s churches have lost a vision for aesthetic beauty that encourages us to experience the mystery and transcendence of God. And they have grown tired of shallow, alternative approaches to the historic liturgical practices of past centuries. Young adults want more. They want depth and mystery, and they aren’t afraid to say it. They are harboring a longing for a church that transcends any single culture, not an approach that simply accommodates the surrounding culture. To counter the effects of transience and constant change, many are seeking to find a sense of stability by engaging with the roots of their faith. They are looking to the ancient history of the church and discovering that we are part of the larger family whose roots go back to the time of Christ. Many of those I’ve talked with have felt like spiritual orphans, people with no roots, no family history. They are discovering a new identity as they learn about their spiritual family heritage and embrace the origins of their faith in the Christian liturgical tradition. The experience is akin to a person discovering their family genealogy and suddenly realizing that they have deep family connections to the past. It’s the realization that we are not independent Christians tied solely to our own time and place. We are part of the larger body of Christ, spanning continents and generations, a church that began not with the Reformation or the contemporary evangelical movement in America, but with Jesus Christ and the early church. Liturgical tradition offers young adults a refreshing alternative to the ahistorical culture of the modern evangelical church because it represents a place of belonging—one that has survived and thrived for over 2,000 years. Having grown up in a culture of entertainment and consumerism, many young people are now rejecting these cultural trends—or at the very least, they are uncomfortable with their presence in the church. For those who are looking for an opportunity to meet with God that cultivates an aura of transcendence, the rhythms of ancient liturgical worship are attractive. It’s slow, repetitive, and it lacks instant gratification. The beauty of a faith that didn’t start yesterday is that it is not driven by the latest fads or personalities. For many, it harkens to another time and is not bound to the biases of today’s culture. One young adult from Chicago told me, “Liturgy is the opposite of our culture . . . in the sense that it provides ordered participation instead of watching passively.” Alongside a desire for the “new,” there is a corresponding longing for the past, for a connection to something older and bigger than their individual tastes, interests, and experiences. There is an undercurrent in today’s young adult culture that wants to retrieve the things of value from the past. While many Protestant low-church traditions have all but abandoned the celebration and practice of the sacraments, some young adults are experiencing a resurgence of interest in learning about these sacred practices and the bounty of grace inherent within them. The sacraments offer a rich, multi-sensory worship experience that engages the whole person through touch, taste, and smell. The Church’s outward signs reveal to us a deeper dimension of the Christian faith, one that is often lacking in much of contemporary Christianity. Our faith is not an isolated, one-dimensional experience that only impacts our hearts, souls, or minds. Instead, it must engage the whole of who we are, and the sacraments are an essential way in which God, through our faith, does this. Liturgy leads us into a faith that holistically transforms us—our hearts, souls, minds, and bodies. In the relativistic culture defined by a postmodern approach to questions of truth, many young adults yearn for boundaries, though they are not necessarily looking for exhaustive rules. They want an anchor for their faith, an embrace of beliefs that I would describe as a “gracious orthodoxy.” What is a gracious orthodoxy? Several millennials and Gen X young adults I talked with expressed a longing for “correct belief,” yet they want to hold that belief in a way that is “full of grace.” They want to stand up and confess the “faith once delivered to the saints,” yet they reject dogmatic and exclusionary relationships with other Christians. They want a faith that broadly unites them with other Christians, even those who may be a part of other denominations and other traditions. They believe that by focusing on essentials of the faith, the creeds have the power to unite believers from different backgrounds instead of separating them. A final reason young adults are embracing liturgy is that the ancient practices of the church provide an anchor for their faith in a world of constant change. Many young people are longing for practices that help them consistently celebrate their faith. They were raised in churches that told them what to believe but didn’t offer ways for them to practice their faith. Because we are creatures of habit, the habits we practice on a daily basis form us even if we are not aware of their power. Many of those returning to liturgy are hungry for time-honored practices that will form their faith and help them grow. Ancient practices help us develop roots that go deep whether we are young or old. Many young people are incorporating these older practices in fresh new ways into their daily lives. In conclusion, I don’t think the recovery of liturgy is merely a trend among young people; it is something much bigger than I first realized. The allure of liturgy isn’t just a passing fad or the latest gimmick; it represents a longing for roots that connect us to another reality, a world set apart that runs parallel to our modern age. It’s a longing for ancient practices that form our faith and connect us to the larger body of Christ, preparing us for God’s mission in the world. The recovery of liturgical practices among this generation is a sign of revival, a Spirit-inspired movement that should give us hopes for the future of the church as it rediscovers its ancient roots. I have come to the conclusion that liturgy, when rightly appropriated, is one of the best ways for us to make disciples in a postmodern context. It is this emphasis—the appropriation of ancient practices for disciple formation today—that is the unifying theme of this book. The liturgy is truly ever ancient and ever new! 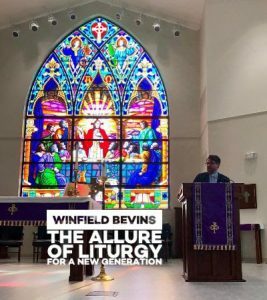 Winfield Bevins is Director of Church Planting at Asbury Seminary and Canon for Church Planting for the Diocese of the Carolinas. This talk is from his new book Ever Ancient Ever New: The Allure of Liturgy for a New Generation with Zondervan.